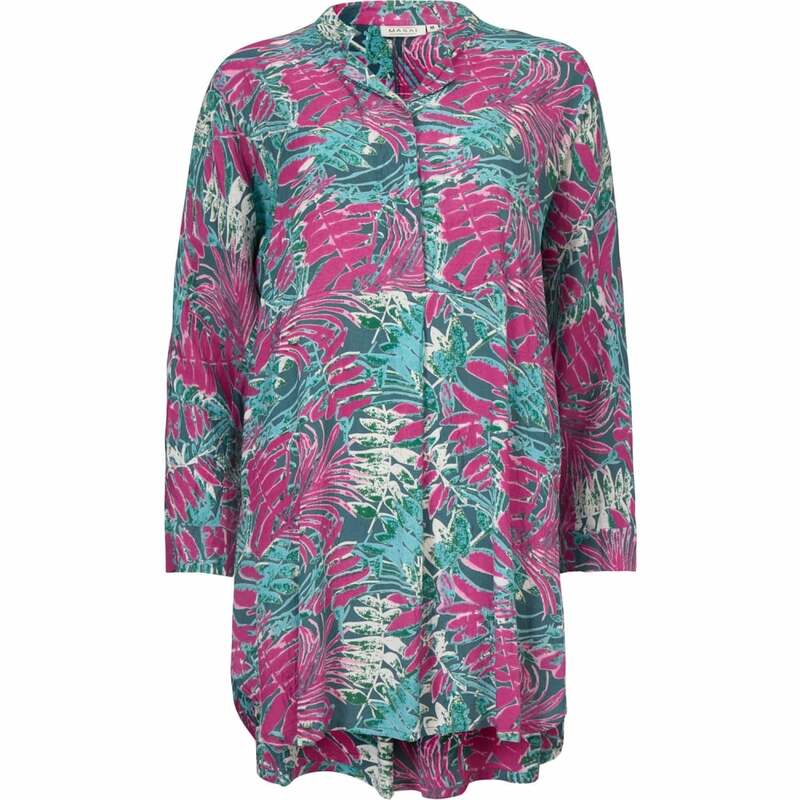 One of the reasons we love Summer is that we can wear bright, fun clothes like this lovely tunic from Masai. A veritable jungle cast in vibrant hues of purple and teal, the beautiful print evokes tropical beaches in sunnier climes. Tunics are wonderful things, ultra flattering and easy to wear. This one is a brilliant choice for anyone wanting to to inject a little brightness into their look.